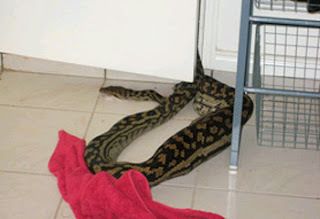 So this snake (pictured below) ate a lady from Cairns' cat!! Poor little cat! Pretty freaky! !